QUESTION: Did Hillary Lose Because Of 'Russia' Or Because She's A Nerve Grating Lardy Hagfish? 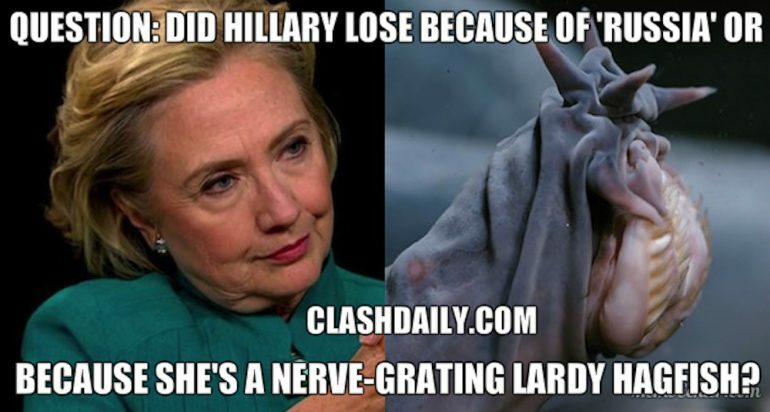 QUESTION: Did Hillary Lose Because Of ‘Russia’ Or Because She’s A Nerve Grating Lardy Hagfish? Hillary has a long list of reasons she didn’t win. Her own name isn’t on it. An article in the New York Post broke down Hillary’s complaints about it being Russia, Comey, and Misogyny. The polling numbers just don’t support that. Comey’s letter didn’t cause any increase in her unfavorable ratings; in fact, her favorable ratings ticked up a point after its release. 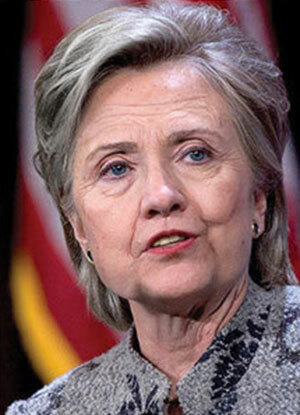 American voters had decided long before that her legal status was irrelevant to their opinion of her. Non-Democrats had already decided that they didn’t want her to be president. …Buried in the exit polling is one shocking bit of data: The 18 percent of voters who disliked both Trump and Clinton favored Trump by a 47-30 margin. The GW/Battleground Poll, directed by Republican Ed Goaes and Democrat Celinda Lake, also found in early September that 18 percent of Americans didn’t like either candidate, but they preferred Trump by an 18-14 margin. A second poll in October again found that same 18 percent figure, and Trump’s edge had moved up to only a 27-19 advantage. …Even if the Comey letter tilted some of those wavering voters against her, the fact remains that this means that information was more important to those voters than anything she had said about herself or Donald Trump for over a year. That fact is a damning indictment of her campaign. …Clinton’s final rationale for why she didn’t lose her own race is misogyny. But that doesn’t stand up to scrutiny. First, why should the appearance of misogyny in the polls be so eerily timed in 2015 with the leaked information about her emails? Second, why should misogyny be so decisive among the 18 percent who disliked both candidates? Third, if misogyny were so important, why would the Clinton campaign spend all of October telling Americans to vote against Trump because he allegedly hated women? A traditional journalist took all of one column to completely debunk Hillary Clinton’s carefully considered explanation of why she lost. But she’ hasn’t examined that one critical idea. 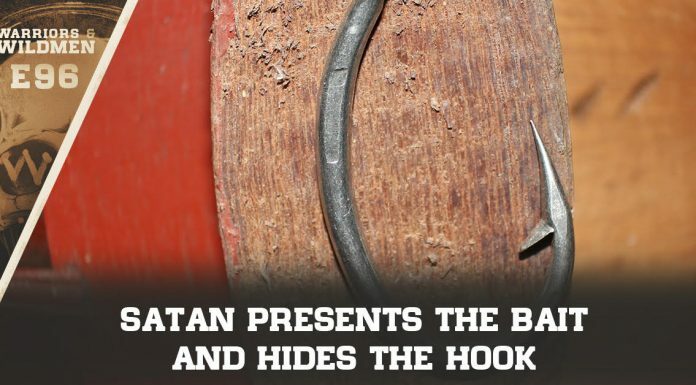 Most people would prefer the hagfish… at least IT performs a USEFUL function in its environment. If her advisors had read THIS she could have gotten some much-needed advice. Share if Hillary is too arrogant to ever accept that she sucked as a candidate.